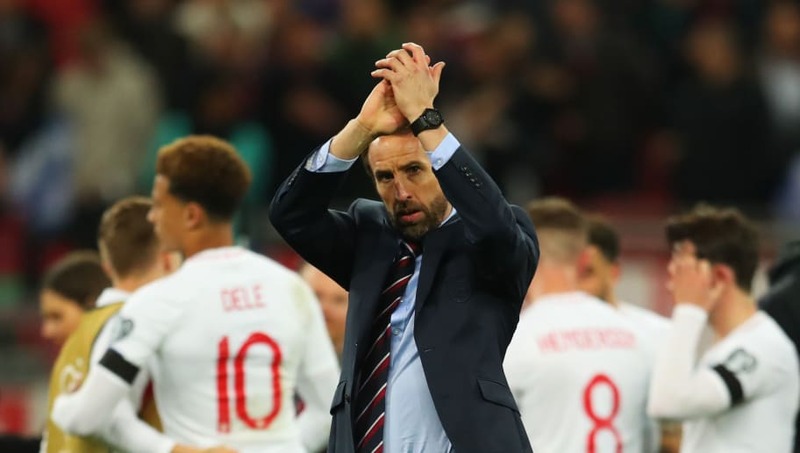 England head coach, Gareth Southgate, has embraced the competition for places in his side and has admitted taking inspiration from Sir Alex Ferguson as he attempts to get the most out of the likes of Jadon Sancho and Callum Hudson-Odoi. Sancho and Hudson-Odoi both featured in England's 5-0 win over the Czech Republic on Friday night. The Borussia Dortmund star set up Raheem Sterling for England's opener and was lauded for his all-round performance. The ​Chelsea youngster came off the bench in the second half and enjoyed a comfortable stroll in the park. Gareth Southgate says he will take inspiration from Sir Alex Ferguson as he attempts to get the best out of teenagers Jadon Sancho and Callum Hudson-Odoi. Talking about the impressive youngsters, Southgate said: "Absolutely we've got competition for places and I think with attacking players anyway they mature very young, and they can go in very young," as quoted by Sportsmole. "So it's not an issue to play them, and really we've found another player that we really liked (in Hudson-Odoi), but we weren't certain that he'd be able to adapt to this level, and we're a bit fortunate in finding him, in that we probably wouldn't have done that in this camp." Southgate has never hesitated in giving the youth a chance and has admitted taking inspiration from Sir Alex Ferguson's treatment of Ryan Giggs. "We've got to be thinking about all of that all of the time because it's very easy for them to enjoy these moments, and they've got to enjoy these moments, but equally, there's a good balance." "I always think of Sir Alex with Ryan and how he did that so well. They had sustained success because of that. So, although they're not our player on a day-to-day basis, I think we've got a responsibility to do that as much as we can, because also we're putting them onto another level and we've got to make sure we get the balance right for the club, but most importantly for the player," he concluded.